Inventory management is a critical factor in driving customer satisfaction and growth for your business. It can make or break a business, and many find efficient inventory management as a way of modernising their business and revolutionising their services. 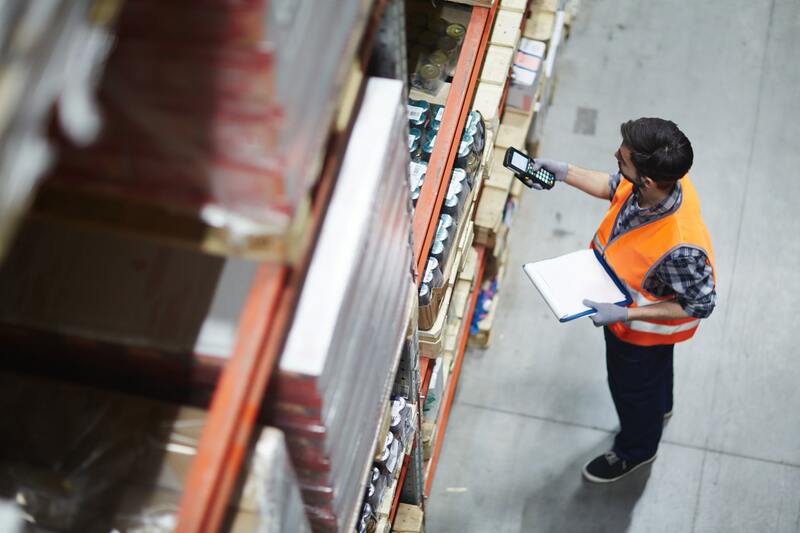 When efficient inventory management and warehousing become the primary factor for smooth business flow and operations, businesses cannot afford errors or missteps in their inventory management processes. Regardless of the industry type, a vast majority of businesses do not have the expertise, technology, staff, and support for efficient inventory management. When businesses differentiate via their service standards, it becomes crucial to have an efficient inventory management system for survival and growth. As stated before, efficient inventory management can help you ensure improved customer service and satisfaction. It helps you to locate particular products requested by your customers from your inventory both quickly and efficiently. It can also assist in ensuring better customer conversion and maximised sales. Your customers expect speedy order fulfilment after they place the order. Efficient inventory management and effective warehouse operations can significantly reduce the dispatch and delivery time. Inventory management can also help you to ensure sufficient stock of seasonal products when the demand is high. Note that when a hot selling product goes out-of-stock, your customers may choose to go to your competitors. It may even lead to customer attrition. An efficient inventory management system helps you to keep track of the returned products. Product returns are a loss for your business and the reflection of customer dissatisfaction. Inventory management systems can help you to analyse the reasons behind the returns and ensure minimal returns for improved customer satisfaction and revenue. When customer experience becomes the single biggest factor in retaining business, your inventory management systems can become a critical asset for your business. Do you know inventory management can assist with forwarding planning? Accurate inventory data can help you identify the priorities of your customers and cater to their needs. It will accurately determine what inventory you have and what new inventories are required to fulfil your customers’ requirements. The data can also help you to understand the sales trends and reorder or manufacture the fast-moving products. Inventory management will provide customised strategies for improved business performance. Forward planning will keep you budget aware. With modern inventory management and data analytics tools, forward planning becomes more predictable, result-oriented, and accurate. Various tools and software give you a significant amount of data – many of them you may not even know existed – that can guide you to make better business decisions. Have you faced poor inventory management and unnecessary expenses? Expenses escalate when you have an in-demand product that requires frequent replenishment. This may increase your freight charges and lead to inefficient business services. With proper inventory management, you can reduce these supply chain errors and ensure the proper supply of products. The systems help you to track your inventory at any time and avoid the issue of depleting stocks or overstocking. The systems can also confirm the movement trend of a particular product and help you to make strategic decisions based on the inventory you have on-hand. Do you know that the overstocking of products will not reduce inventory expenses? Today, overstocking is not considered a profitable business strategy. Smart businesses follow a strategy of stocking products proven to sell while minimising the stocking of other perhaps more niche products. Note that some products may achieve sales expectations after initial momentum due to “out of style” or better products available on the market. The overstocked products may become spoiled over the period and hamper your profit. By stocking the fast-moving products, you ensure reduced stocking expenses and improved business and profit. Inventory management systems can also help you to calculate your profit from a particular product and make the necessary adjustments to the product price when needed. Proper inventory management can help improve overall business efficiency. It will enable you to easily track your product or inventories that are in a warehouse or shipping using the modern tools and systems. You can ensure better employee productivity eliminating the need to manually trace a particular stock item or inventory. When you provide an organised inventory system with proper management tools, you help your employees to focus on critical and valuable tasks. Modern inventory management systems are holistic and provide you and your employees with detailed information about stocks, product segments, the sales data, and much more. Most of the inventory management systems and tools give you notifications when the stock goes low. The data captured by modern inventory management systems provide you with unlimited opportunities to identify new business opportunities, sales trends, business strategies, consumer behaviour, and much more. An efficient and measurable inventory management system also helps you to generate and forecast reports and avoid unnecessary wastage of products. Modern inventory management systems can change the outlook of your business. It can make your business organised and more professional. This ensures customer loyalty and offers you repeat sales by building confidence, trust, and mutual respect. However, many businesses face the issue of not having sufficient expertise, staff, and tools for setting up proper inventory management for their businesses. Also, some businesses do not prefer personalised inventory management as they want to focus on their core business. If you do not have the expertise for proper warehousing and inventory management or want to focus on the core business, you can choose third-party logistics and inventory management providers. Third-party inventory management providers have the expertise, trained staff, and the modern tools and systems to provide you with customised and unique solutions based on your needs. • Warehouse and inventory management systems need huge initial investment, and most small and medium businesses cannot afford it. • Choosing a third-party service provider helps businesses to focus on their core business. • Since third-party providers are experts in inventory management, they can give valuable inputs that drive customer loyalty and better revenue in the long term. • Third party providers have deeper knowledge and expertise in the modern tools and systems of the industry. It can help you to offer superior service to your customers. • Third-party logistics providers also provide greater flexibility and scalability. It is useful for seasonal businesses to ensure stress-free transitions during the peak and off-season periods. • Many third-party providers also help you to grow into new regions with their extensive logistics and inventory management capabilities. Additionally, service providers like Snapes Project Logistics offer you cost-effective and highly scalable warehouse and inventory management services that improve the overall efficiency of your business. Third-party logistics providers provide a holistic service that includes unloading containers, re-palletising, offering short- and long-term storage, and more. The providers also conduct stock checks as well as regular audits for stock levels, up-to-date order fulfilment, and costs. Many businesses experience growth roadblocks with an inability to handle warehousing and inventory management. An inefficient system will affect ROI and the reputation of the business. Support the growth of your company and choose third-party logistics and inventory management providers who have extensive warehousing network and resources to provide you with customised services.